"As a youngster growing up in Chipley, Florida, I admired with awe, basketball legends like Bill Russell, Wilt Chamberlain, Jerry West and Oscar Robertson. I never imagined then that one day I might share a stage with them as a member of Naismith Memorial Basketball Hall of Fame. On behalf of the entire Gilmore family I want to than everyone who made this honor possible. I hope to proudly represent you all." 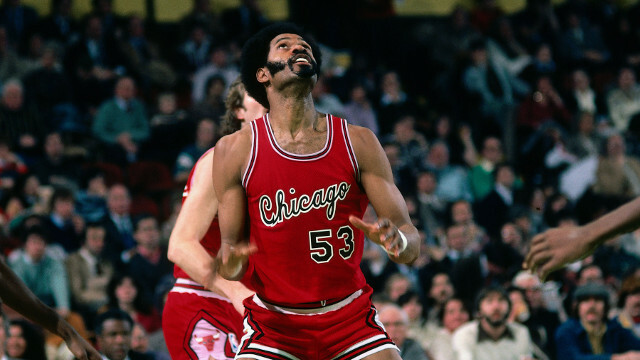 IN HERE COMES THE A-TRAIN!, basketball legend Artis Gilmore takes a deep, introspective look at the important life lessons that took him from his rural Florida upbringings to the pinnacle of success in professional basketball. Dubbed "The A-Train" in comparison to the Chicago transit line, there was a time when Artis ruled the game…when protecting the rim and grabbing rebounds were taken for granted. Anyone who drove the lane against the A-Train paid a price. A gentle giant?...opposing teams would disagree! 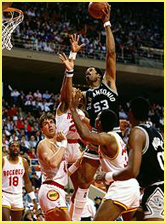 Named Rookie of the Year, ABA Champion with the Kentucky Colonels, 11-time All-Star, and member of the Naismith Memorial Basketball Hall of Fame (2011), Artis knows that true success in life is not about wins and losses, but learning that mastering the small things and overcoming difficult moments are the true keys to greatness. Artis also looks back at highs and lows of his basketball career, from Carver High School, Jacksonville University, the Kentucky Colonels, and his days in the NBA, including an inside look at other legends of the game throughout his 18-year career. Here Comes the A-Train! 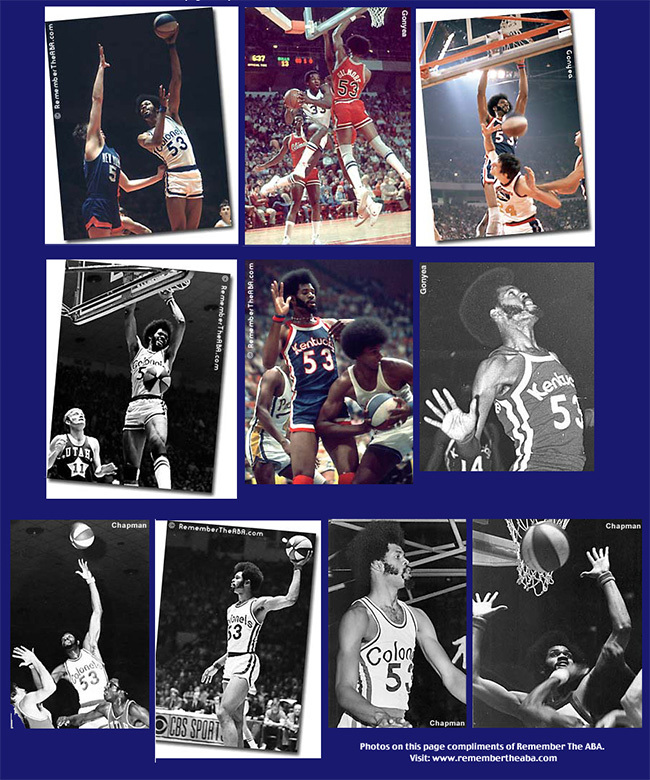 is the perfect gift for any basketball fan, and provides sound advice for success in all walks of life. 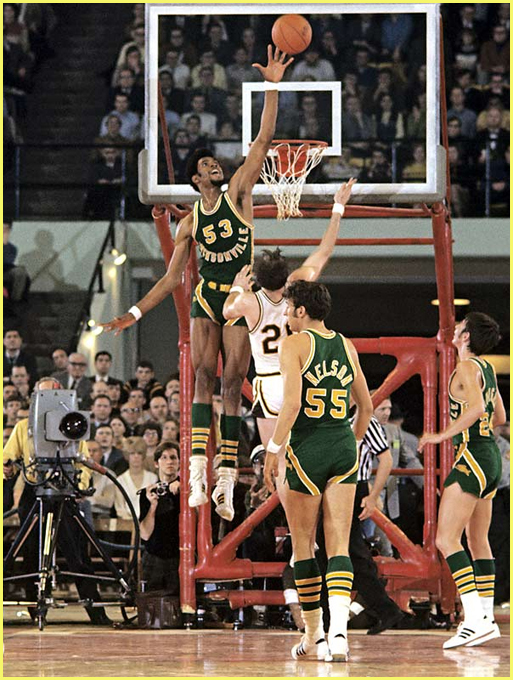 Artis Gilmore (born September 21, 1948) is an American retired basketball player who played in the American Basketball Association (ABA) and National Basketball Association (NBA). 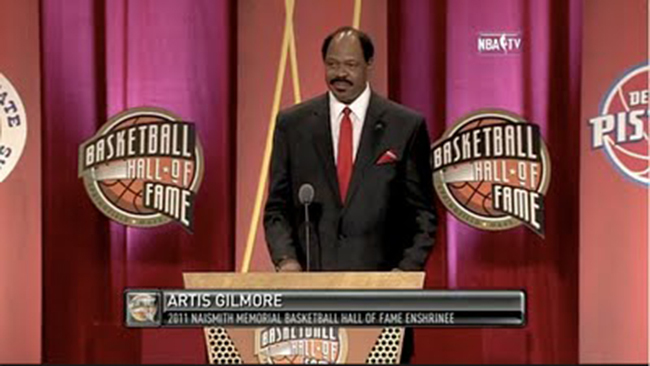 Gilmore was inducted into the Naismith Memorial Basketball Hall of Fame on August 12, 2011. A star center during his two collegiate years at Jacksonville University, in Jacksonville, Florida, Gilmore led the Dolphins to the NCAA Division I championship game in 1970, where his team was beaten 80-69 by the UCLA Bruins. Gilmore remains the top player in rebounds per game in the history of NCAA Division I basketball. 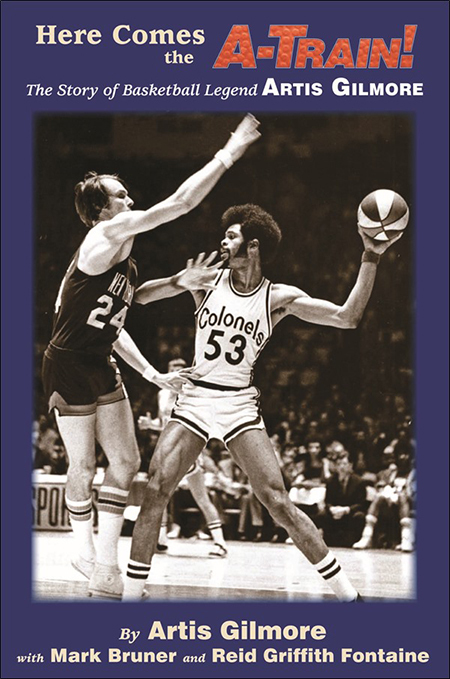 Gilmore followed five All-Star seasons with the Kentucky Colonels of the ABA by becoming the first overall pick of the 1976 ABA Dispersal Draft, which dispersed the players in the ABA clubs, such as the Colonels, that did not join the NBA. In Gilmore's complete pro basketball career, he was an eleven-time All-Star, the ABA Rookie of the Year, and an ABA MVP. Nicknamed "The A-Train", the 7'2" (2.18 m) Gilmore once played in 670 consecutive games. Gilmore played in a total of six NBA All-Star Games. He led the NBA in field goal percentage in four consecutive seasons, including a career-best 67% during the 1980–81 season — at the time, the third-highest percentage in NBA history. At the time of his retirement, Gilmore was the NBA's career leader in field goal percentage (minimum 2,000 shots made) with 59.9%.